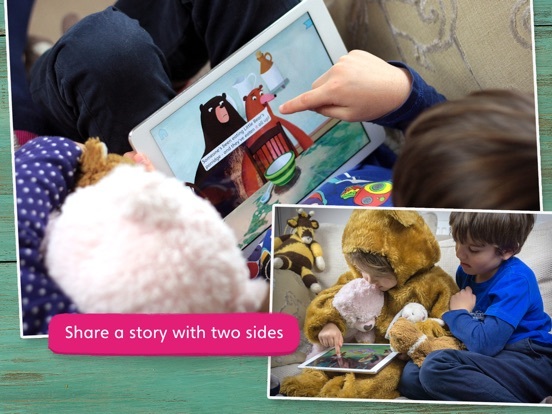 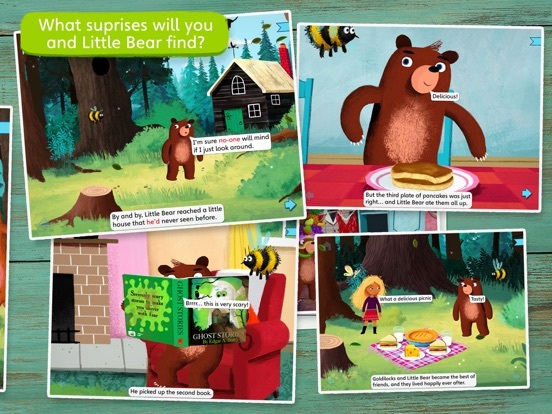 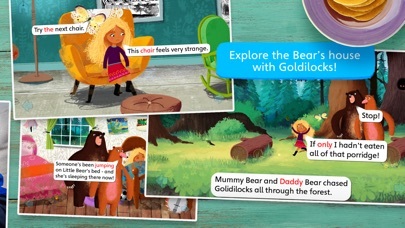 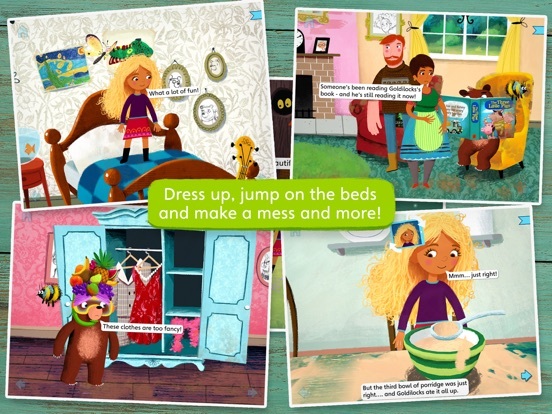 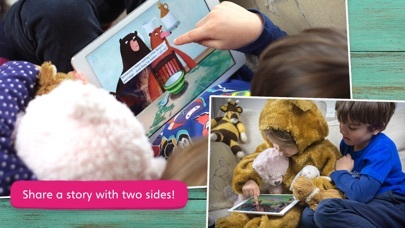 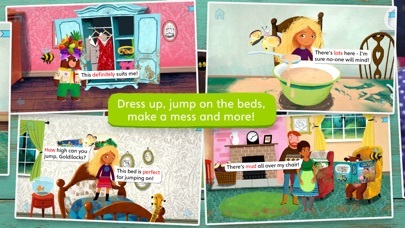 Goldilocks and Little Bear demonstrates a unique, interactive new form of story-telling – it’s an incredible, 21st-century reading experience . 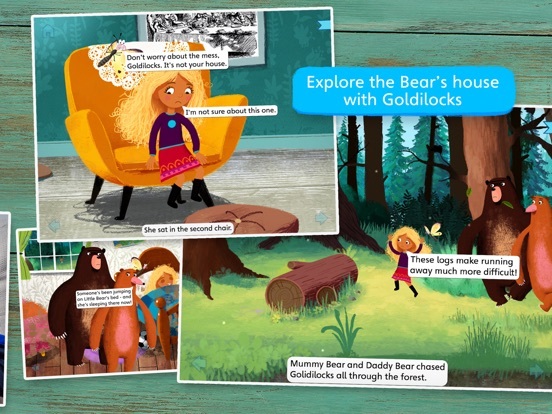 It’s the classic story of Goldilocks and the Three Bears - as you’ve never seen it before. 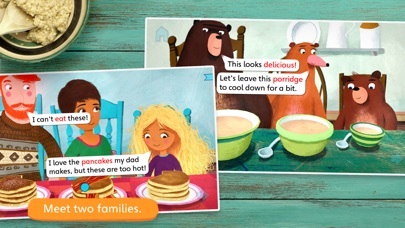 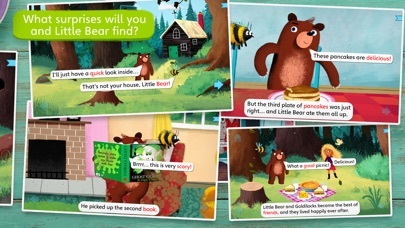 While Goldilocks is in the bears’ home, eating their porridge, sitting in their chairs, and sleeping in their beds, Little Bear is in Goldilocks’s family’s home – eating their pancakes, wearing their clothes, and reading their books! 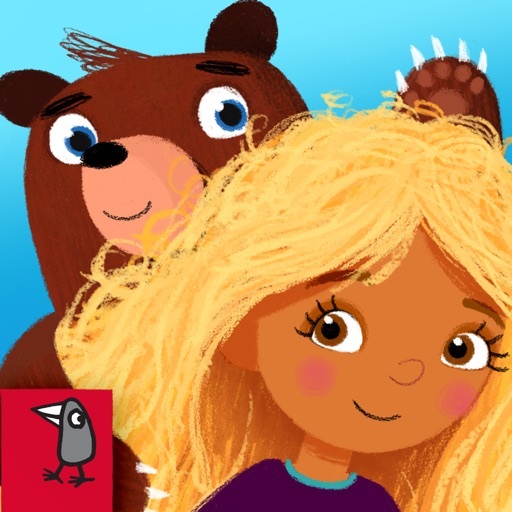 The sixth phenomenal fairy tale from Nosy Crow, makers of the award-winning The Three Little Pigs, Cinderella, Little Red Riding Hood, Jack and the Beanstalk, and Snow White apps.